Designed by speech-language pathologists and tested by users with language and cognitive deficits, the HIPAA-compliant TalkPath Therapy is redefining online speech therapy. Research has shown that people with aphasia can continue to make significant gains even several years after their stroke or brain injury, giving hope to millions of people. Lingraphica’s  TalkPath Therapy is a cutting-edge, task-based, online therapy solution. With more than 13,500 language and cognitive exercises, you can begin rebuilding your speech, language, and cognitive skills today. New to TalkPath Therapy is the video playback feature, which enables you to record yourself practicing mouth position videos and play the video back to check for accuracy. This feature is only available on the iPad®. For clinicians: We heard from many professionals that it was important to have a clinician-specific dashboard with access to multiple clients’ plans and reports. So we developed and delivered a platform that makes managing several clients much easier. Based on additional feedback, we also made it easier to navigate between two clients. Best of all, clinicians can now customize a client’s plan straight from the dashboard – adding and removing exercises and tasks with a few simple selections. For individuals: Exercises are broken up into six different categories. These six categories help strengthen the skills and muscles associated with speaking, swallowing, and memory. 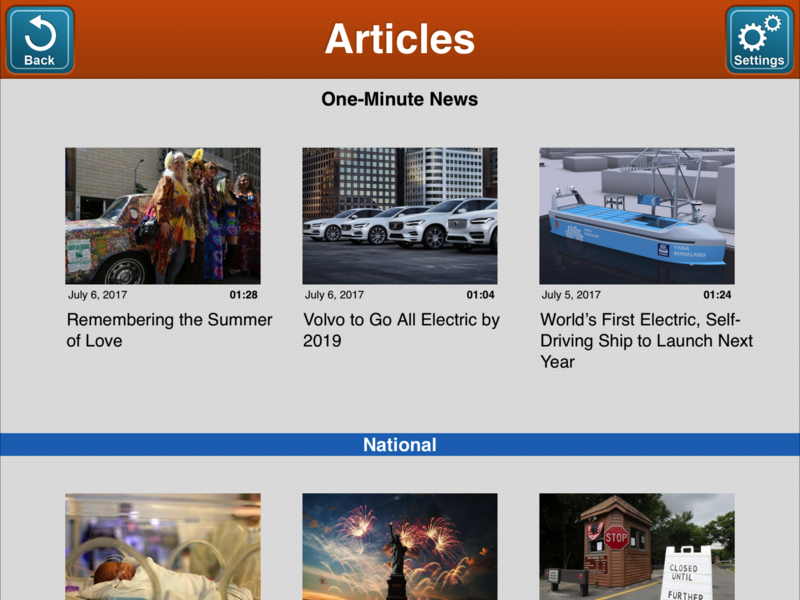 We have also added our dedicated news source TalkPath News to the platform. New articles are added five days a week and are accompanied by cognition questions for memory testing. 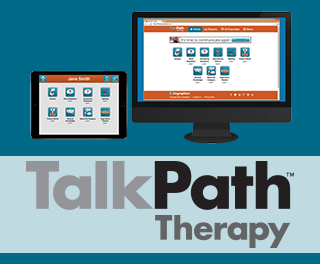 It’s Free: TalkPath Therapy remains free for clinicians and individuals to use at anytime. Our goal is to offer great tools for clinicians to use in their practices. Our clinical team and product development team use it when they are developing the next iteration of TalkPath Therapy. 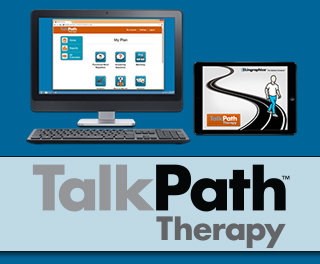 Easy to Access: TalkPath Therapy is still accessible from two places: the Web and the iPad app. Clinicians and individuals can work online or offline with the iPad app or online with the Web browser. Reporting Capabilities: Reports still feature detailed tasks and an overview of a client’s work, so clinicians can track usage and an individual can see their completed work. 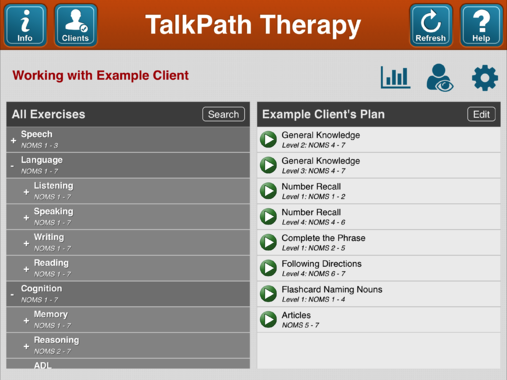 Exercise Content: Finally, our reading, writing, speaking, and listening exercises are also on TalkPath Therapy. Stay tuned for more updates to TalkPath Therapy. We can guarantee you’ll see more from us in the coming months. Until then, sign into your free account and start working today!